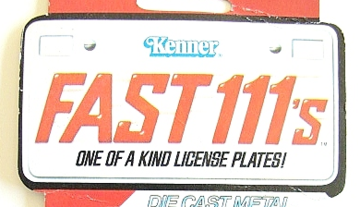 In the late 1970s, Kenner entered the 1:64 diecast market with this mix of fantasy designs and vehicles based on real cars. Each featured a license plate from a different state of the U.S. The back of the packaging featured a "title" for the car that could be signed over to someone else if it was sold or given away.